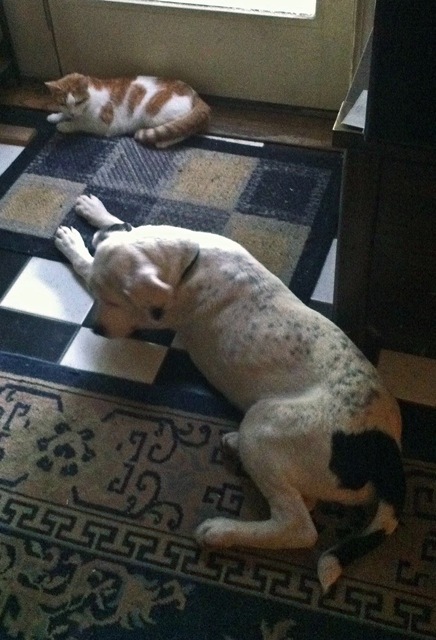 We love hearing from happy adopters who have used Adopt-a-Pet.com to find their new furry friend! 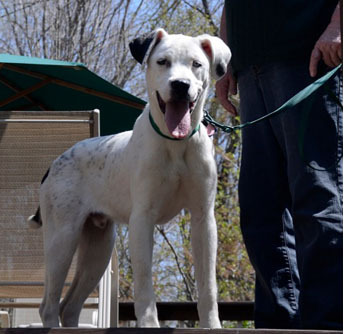 Here’s an email we received with some great photos from John in Connecticut, who found his new dog Chance thanks to an Adopt-a-Pet.com Search Saver email that brought his listing right into his email inbox. John writes: “After being without a dog of the first time in may years, we decided to go the dog rescue route. 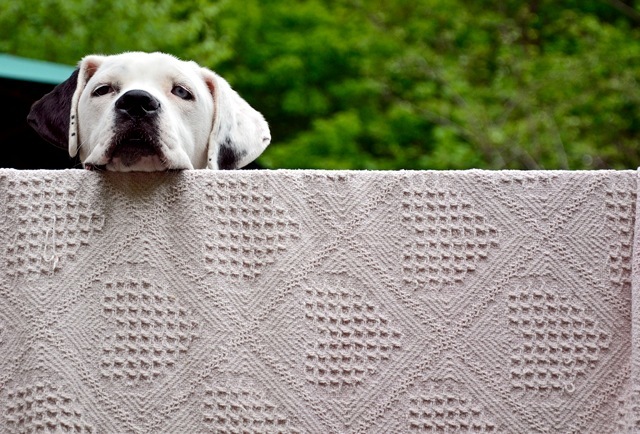 Having had big dogs over the past 43 years, we were looking for a Great Dane rescue. Well, you sent us a picture of “Chance” a Great Dane Husky puppy mix, just transferred to the Connecticut’s Newington Humane Society. So we immediately hoped in the SUV ( a must for big dog owners) and drove to Newington to see Chance in person. Because he was abandoned and rescued, he was shy about being around us. However, with a few hand full of goodies and a long walk with him, he decided that we were OK. Of course, we knew from the moment we saw him that he was going to have a good home with us. We signed all the paperwork and Chance took that ride home with us. Being a seven month old puppy and never having been around a cat, his introduction to Patches, our cat who was used to being around dogs, was interesting to say the least. Chance now has a house full of toys to play with, a cat who is teaching him proper cat-dog etiquette , and a loving environment. Our two sons who visit are his favorite playmates! Without the pet rescue/adoption system, Chance would never had a chance. Thank you. Photo above: Chance’s first week a home. What a smile! Photo below: The Cat teaching Chance Dog/Cat boundaries. Curious chance looking over the deck. 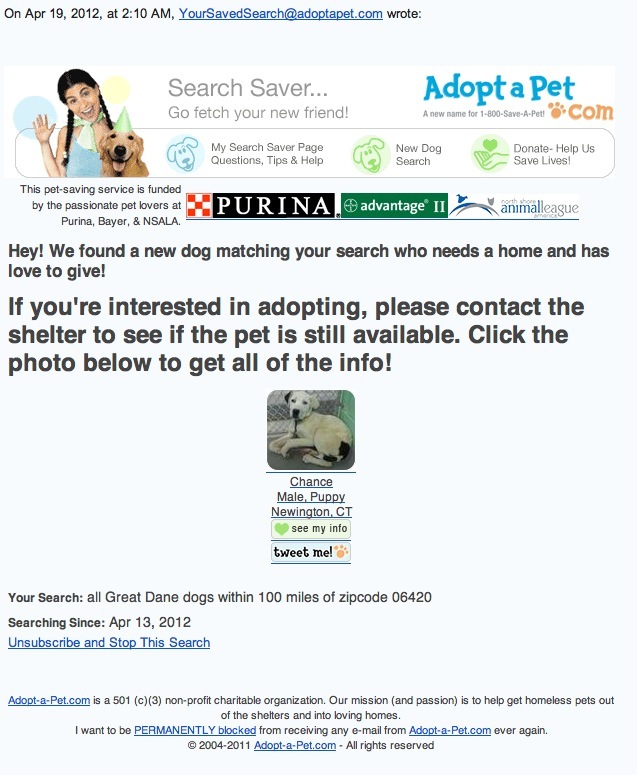 The Adopt-a-Pet.com Search Saver email that brought Chance into the inbox of his new home!